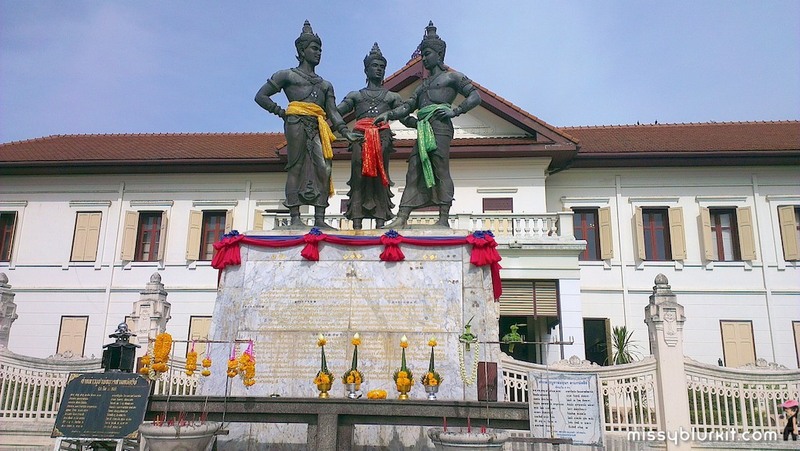 Chiang Mai City Arts and Cultural Center is an interesting location for visitors to discover and understand the history, art and culture of the city. As for those who yearn to taste Lanna Kantok and try seeing the show outside the center, you can visit Lanna Kantok-Petchngam Hotel Tel. 0 5327 0080-5, Maeping Kantok-Imperial Maeping Hotel Tel. 0 5327 3900, Khum Kaew Palace Tel. 0 5321 4315, Kantok Baan Roii Chan-Pang Suan Kaew Hotel Tel. 0 5322 4444, and Sipsong Panna Tel. 0 5381 0695. The service time and rate of all these restaurants are quite the same. There are lots of rooms that you could quite easily miss, make sure you gou upstairs as well. They provide different language guide book for tourist to read with the model display. There is nothing prohibited from eating unless pork is not on your menu. It resembles a marketstreet in the old days with all the different kind of vendors. Visiting a museum is not what most people will do when visiting Thailand. But maybe it is nice alternative on a rainy day or on a very hot day. I was a bit surprised with the negative reviews. The museum certainly isn't boring. There are a lot of visual displays, like the room with &quot;Life in the city&quot;. It resembles a marketstreet in the old days with all the different kind of vendors. It is really well done. This makes it also very interesting to visit when travelling with kids.And i agree with previous reviews, the absolute star is the building itself. A very elegant historical building, with some very nice courtyards. Went to the cultural centre on the last day of our stay in Chiang Mai, when we were watted out and shopped out. Didn't want to travel too far, so opted to stay within the walls of the Old City. The centre is listed in the Lonely Planets guide and website, so, we thought it might be worth a few hours of our time.The centre is located off Phra Pokklao Rd, a short walk from the centre of the Old Town, and situated in a reasonably pleasant square off the main (busy) road, behind the Three Kings Monument. The building itself has a rather pleasant colonial feel, and walking through the building allows you glimpses of enclosed courtyards which could have been made into lovely gardens. For me, the building was the star of the show.There is an entrance fee (can't remember the exact price). The first stage of the visit starts with the obligatory short self-promotory video clip, which promotes Chiang Mai as the destination of the year. 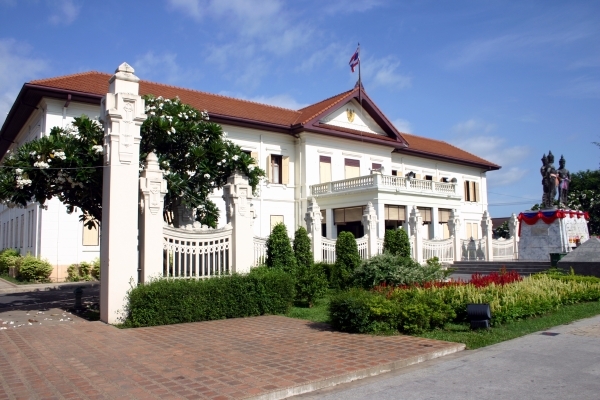 From then on, visitors follow a winding path through the various rooms of the centre, which attempt to give an introduction of the history and culture of the Chiang Mai region. The problem is that the rooms are stuck in a sort of 60's timewarp. Displays consist mainly of picture boards with many words, miniature dioramas in plex-glass frames, or a few dusty mock-ups of various cultural items. The few computer displays that were present were either just as boring, or not working. Quite a few display items were non-functional. Every room had one or two staff members, who's sole purpose in life seemed to be to hang around and chat with each other, or be engrossed in their mobile phones. The warmest welcome we received was when we walked into the souvenir shop.The best part of the visit was the one-room photography exhibition at the end of the centre, and this was only a temporary exhibit.